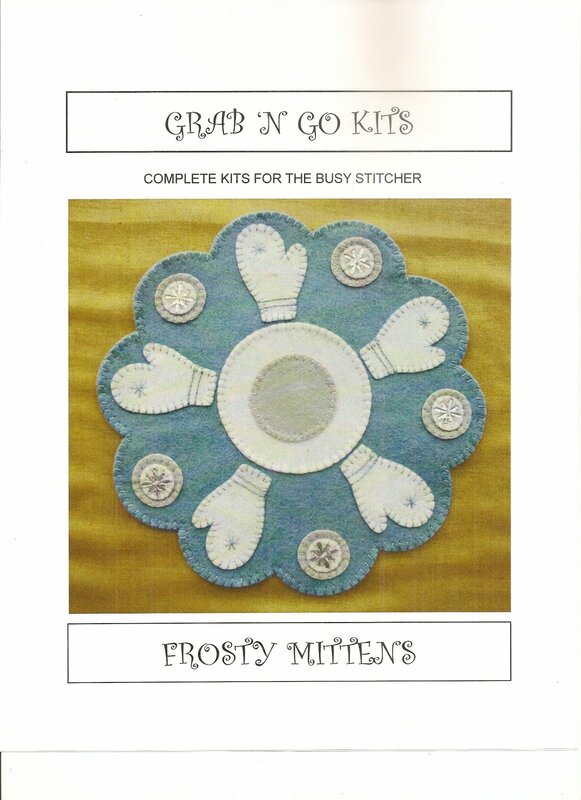 Frosty Mittens kit contains all supplies needed to complete the project which measures 11". 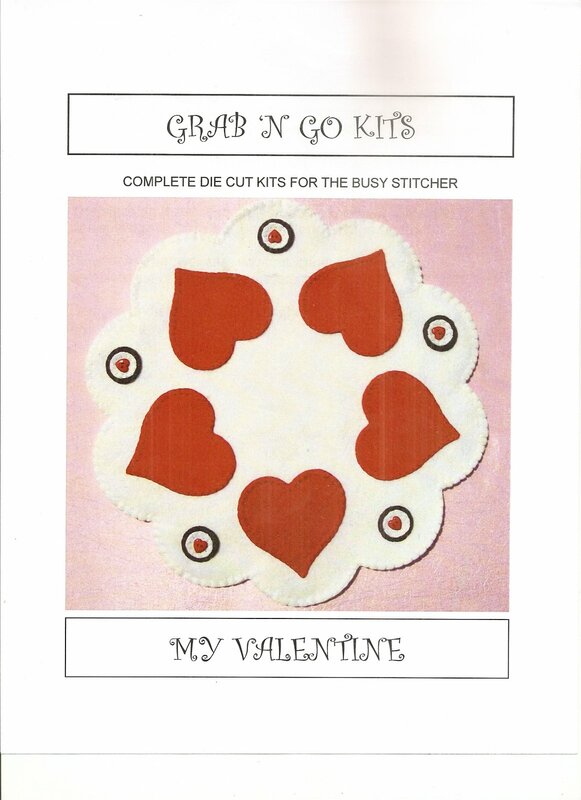 My Valentine Kit contains all supplies needed to complete the project which measures 11 inches. 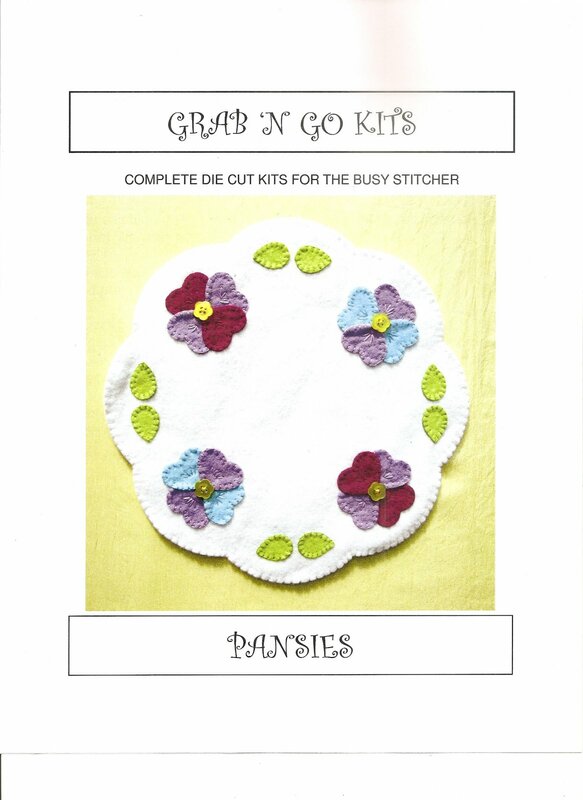 Pansies kit contains all supplies needed to complete the project which measures 11.5". 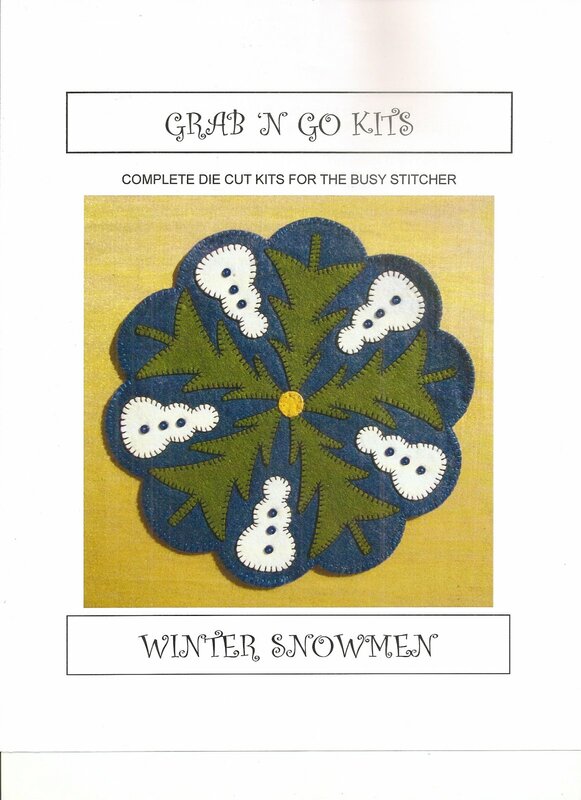 Winter Snowmen kit contains all supplies needed to complete the project which measures 11.5". 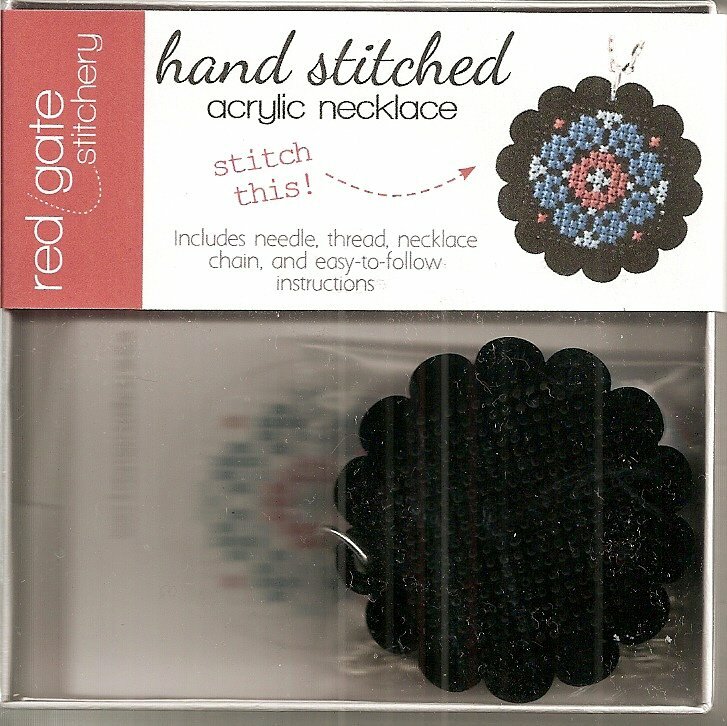 Hand Stitched Acrylic Necklace Straight Stitch Collection Black Kite by Red Gate Stitchery. 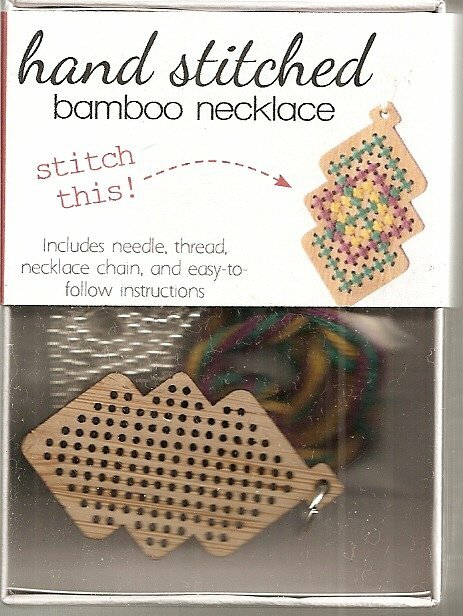 Includes needle thread necklace chain and easy-to-follow instructions. Hand Stitched Acrylic Necklace Folk Art Collection Black Acrylic Pear from Red Gate Stitchery. Includes needle thread necklace chain and easy-to-follow instructions. Hand Stitched Acrylic Necklace Folk Art Collection Black Acrylic Scallop by Red Gate Stitchery. 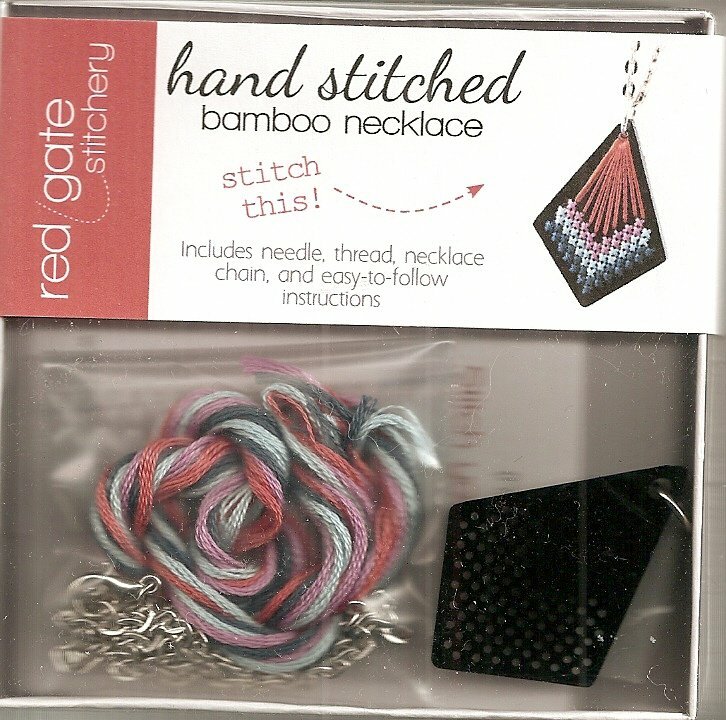 Includes needle thread necklace chain and easy-to-follow instructions. 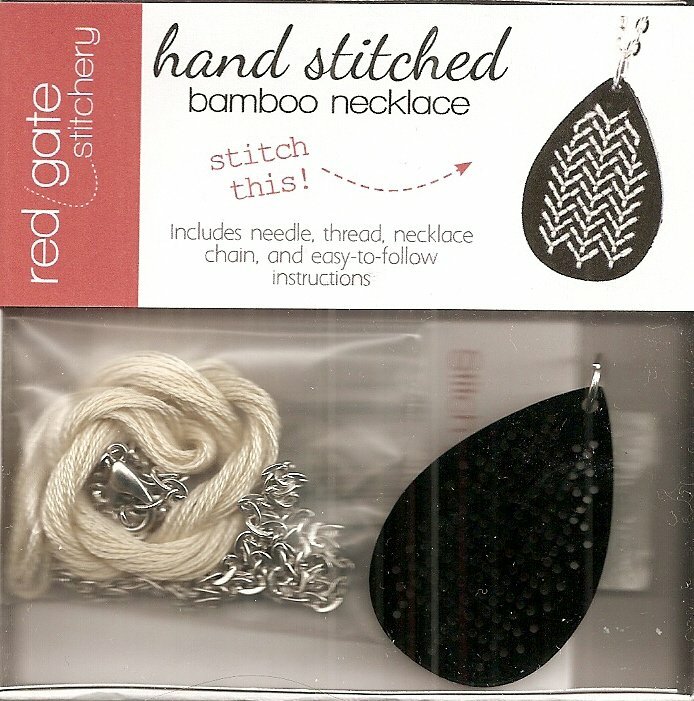 Hand Stitched Acrylic Necklace Straight Stitch Collection Black Acrylic Teardrop by Red Gate Stitchery. Includes needle thread necklace chain and easy-to-follow instructions. Hand Stitched Bamboo Necklace Interlocking Diamonds by Red Gate Stitchery. Includes needle thread necklace chain and easy-to-follow instructions. 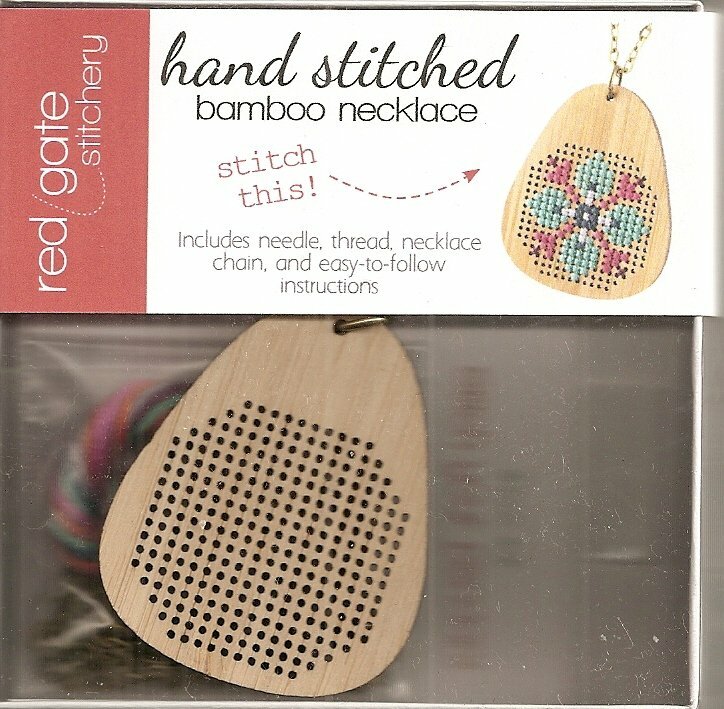 Hand Stitched Bamboo Necklace Folk Art Collection Pear by Red Gate Stitchery. Includes needle thread necklace chain and easy-to-follow instructions. 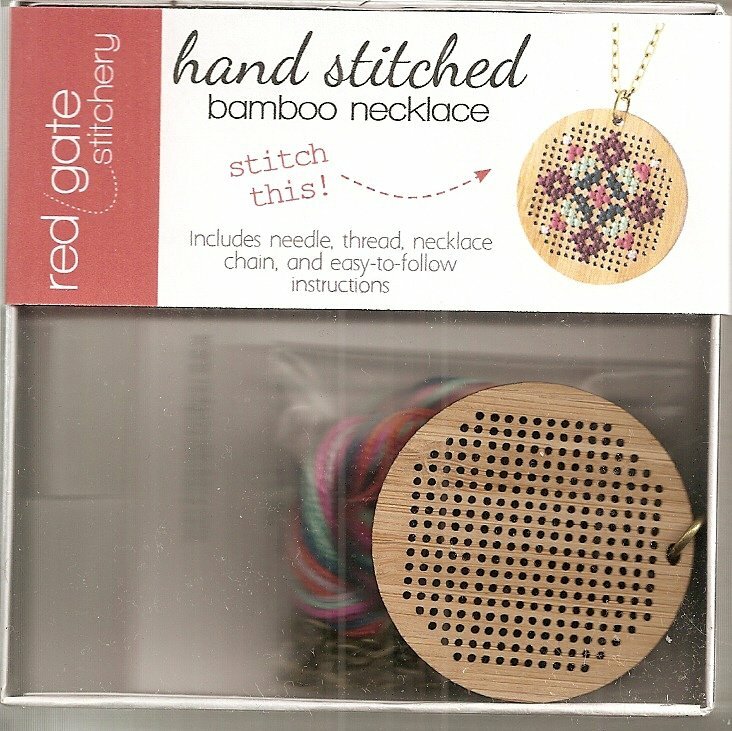 Hand Stitched Bamboo Necklace Folk Art Collection Round by Red Gate Stitchery. Includes Needle thread necklace chain and easy-to-follow instructions. Hand Stitched Bamboo Necklace Folk Art Collection Scallop by Red Gate Stitchery. 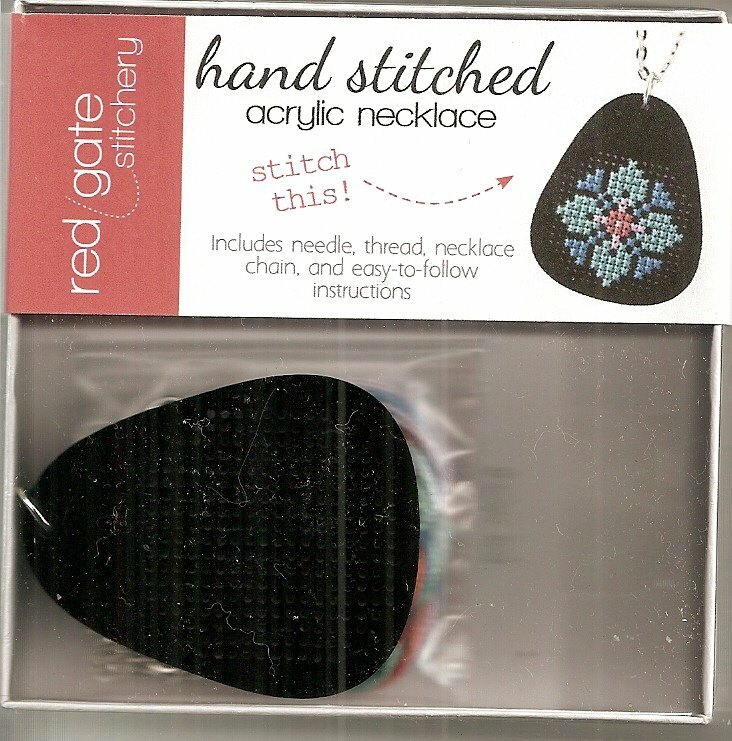 Includes needle thread necklace chain and easy-to-follow instructions. 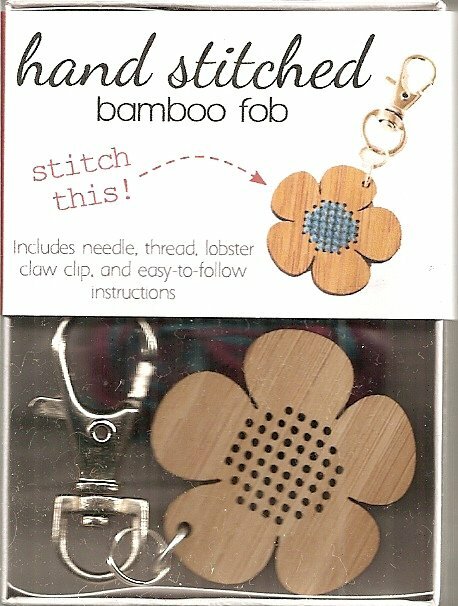 Hand Stitched Bamboo Scissor Fob Flower by Red Gate Stitchery. 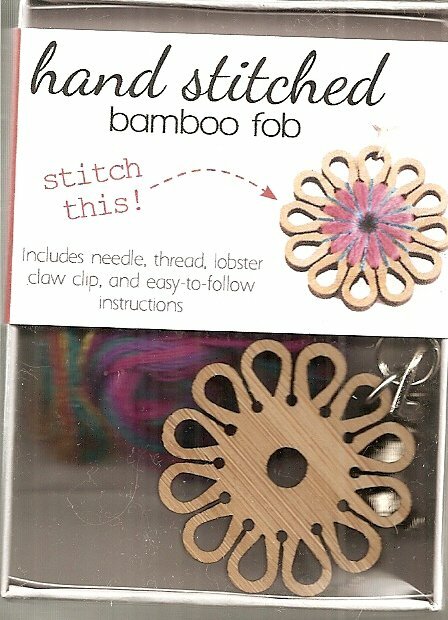 Includes needle thread lobster claw clip and easy to-follow instructions. 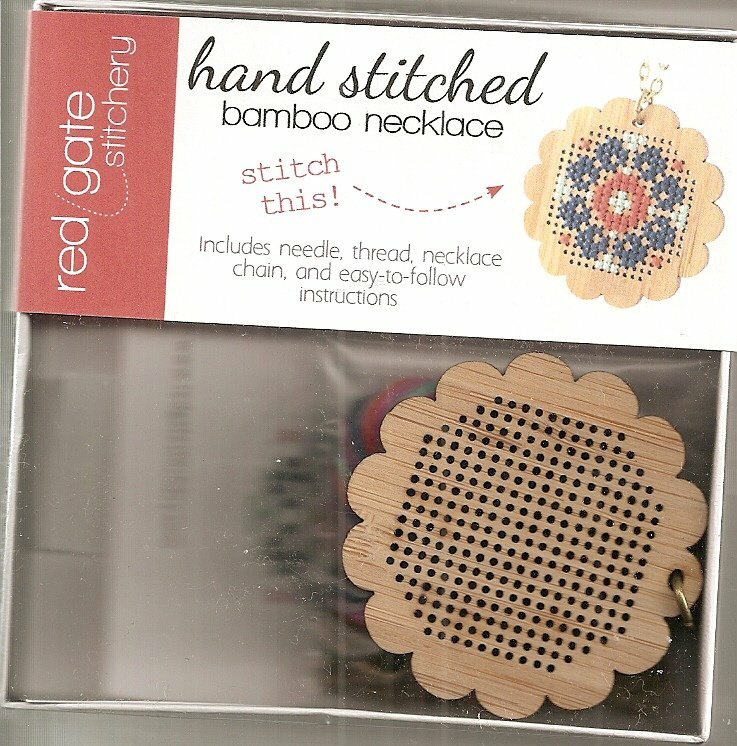 Hand Stitched Bamboo Scissor Fob Wrapped Flower by Red Gate Stitchery. Includes needle thread lobster claw clip and easy-to-follow instructions.